Every other Sunday I'll be posting a general news post. These might preview things I'm planning for the two weeks following (such as a new feature - On My Mind), they might reflect on books I'm looking forward to, or that I've recently heard of and want to discuss. 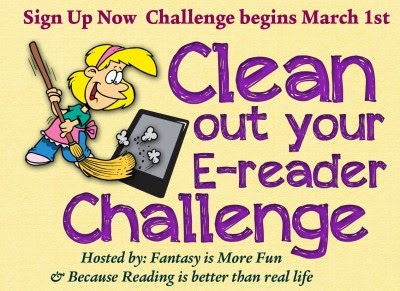 I posted my kick-off post for COYER yesterday, but the basics again are that for the month of March, I will be attempting to clear as many free or nearly free ebooks off my TBR shelf as possible. I've selected eight books to start with, and I'm hoping to squeeze in a few more. I'll be posting mini-reviews through the month, and I'm looking forward to cutting into my TBR pile. In February, I reviewed 18 books for the site. My average review score was 3.5, which is a bit lower than maybe I would like to see, and down .4 from January. In terms of site visitors, Google Analytics tells me that the blog had 266 visits from 150 different visitors and roughly 1000 pageviews. I've taken a bit of a step backwards - partially because I had fewer reviews this month, I think. Reading: Sapphire are an Earl's Best Friend by Shana Galen, The Shadows of Asphodel by Karen Kincy and The Flight of the Silvers by Daniel Price. Yeah, three books on the go. Two of them I can't read on my Kobo reader right now. Watching: Old episodes of Chopped. Playing: Payday 2 just had an update last week so I'm back into it with my favourite set of heisters. I've also been playing Torchlight 2 and Dungeon Defenders with my husband and a friend, which has been pretty awesome. I'd really love to see a five person game come out right now though so the people I regularly play with could all play the same game. Feeling: Excited about the prospect of starting to write fiction again. I've noticed a couple of submission calls that have me inspired to start putting words on the page again. Loving: Vanilla Caramel Coffeemate, because I've needed coffee most mornings this week and this makes for delicious coffee. Hating: That there aren't thirty hours in the day. Planning: I really want to get into the habit of planning meals more carefully. My son is hitting the age of finger foods, so I need to be really conscientious about what I'm preparing for him, and my daughter's at that picky preschooler age so there's a short list of things she wants to eat. Wanting: To be a better knitter. My current efforts are not as, ah, accomplished as I would like. Thinking: About starting a monthly publisher feature. One of my favourite things of the past four and a half months of blogging is that I've discovered a number of new publishers that I would never have been exposed to before I started blogging. 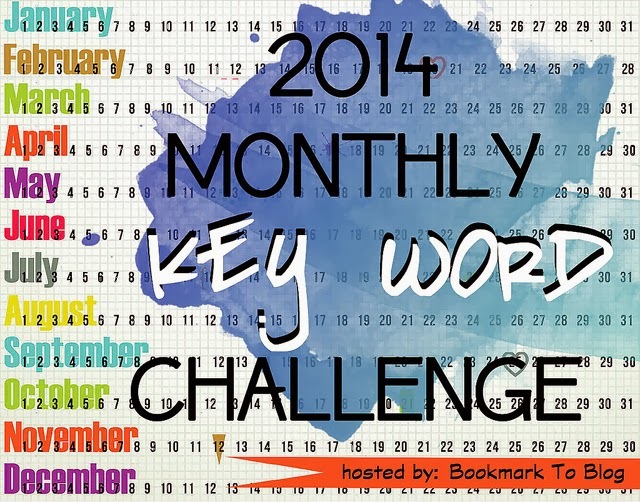 Up first, the 2014 Monthly Key Word Challenge. February's words were "Her, Life, Night, Red, Dark, Island." For this, I read Night's Promise by Amanda Ashley, which I gave 1.5 stars! March's words are "Forever, Inside, Storm, Sky, Flower, Stay." I'm really not sure what I have coming up that might satisfy this one, so I'll have to do some planning! 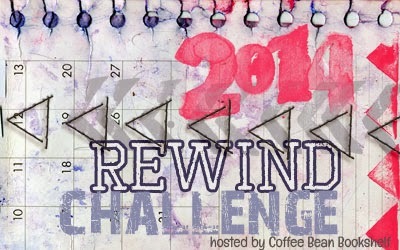 Second, The 2014 Rewind Challenge! This is hosted by Coffee Bean Bookshelf. So I'm still at 2/40 and 1/40 for my efforts. Hopefully my efforts this month for COYER will let me catch up on those totals a bit more. Have a bit of news to share? 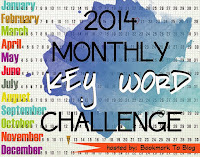 What challenges have you been doing this month? 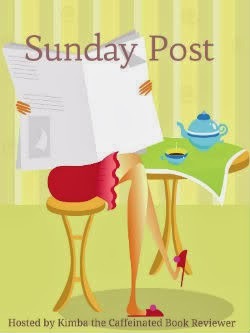 Do you have a favourite post out there in the blogosphere you want to highlight? 1000 page views per month would be great in my world :) but than I'm only new and average about 3000 at the moment. I'm so pleased about you picking up writing - make sure you share it with us. I keep trying to tell my DD's boyfriend he should continue writing, he keeps telling me 'it's rubbish' and I keep telling him the only way to be a writer is to write. He tells me he doesn't want to be a writer, but just feels that 'the story needs to get out of him'. As for my knitting…well, my time on the laptop seriously eats into any knitting time I ever had! My problem is often checking in with all the series that I have on the go as so many are of the never-ending variety! I'll have to keep the COYER challenge in mind for the future. When I first figured out how to convert Amazon books over for my Nook, I went a little crazy with downloading free books. One-Click Book Shopping with be the death of me!!! It seems like all I ever read are books in a series. I read one, start another series, read one, start another, eventually go back to the first series, etc. It takes me forever to read a series because I'm reading so many. I'll have to remember COYER for next time. Sounds like a great way to weed through those free Kindle books I obsessively "buy" and to get caught up on series reading! Stopping by from The Sunday Post. New Bloglovin' and Twitter follower.